The University of Central Florida (12-0) posted consecutive undefeated seasons and back-to-back titles in the American Conference. UCF has now won 25 games in a row and counting for college football’s longest winning streak. The No. 8 UCF Knights rallied behind to defeat the Memphis Tigers 56-41 to win the ACC Championship. 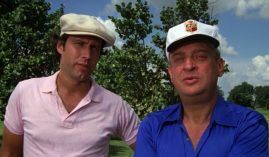 Yet, despite a 25-game winning streak, the college football playoff committee snubbed the undefeated Knights. Again. For a second-year in a row, UCF failed to receive an invitation to compete in the national championship. Even with the new rankings, the perfect Knights moved up one spot from #9 to #8 overall. UCF and Memphis met for the fourth time in two seasons with Memphis mired in a 12-game losing streak against UCF. They faced each other in last year’s AAC title game, but Memphis lost 62-55 after blowing a 16-point lead. The Memphis defense buckled once again in the title game. The UCF Knights rallied back from a 17-point deficit to win the AAC title on Saturday. They edged out Memphis 56-41 to complete a 32-point swing. Back-up QB Darriel Mack rushed for touchdowns in the second half. He finished with 348 passing yards and two touchdowns. Mack did not throw any interceptions, but was responsible for two costly turnovers in the first half. He bounced back from a sloppy first half to engineer the second-half comeback. Last week, the Knights lost their quarterback and leader McKenzie Milton to a season-ending injury. Milton left the South Florida game after he injured his knee on a scramble. The 21-year old Heisman hopeful from Kapolei, Hawaii won the 2017 AAC Player of the Year. As a junior, Milton threw 24 touchdowns and rushed for nine more. Backup Darriel Mack, a red-shirt freshman from Norfolk, Virginia, stepped up to close out the South Florida game. 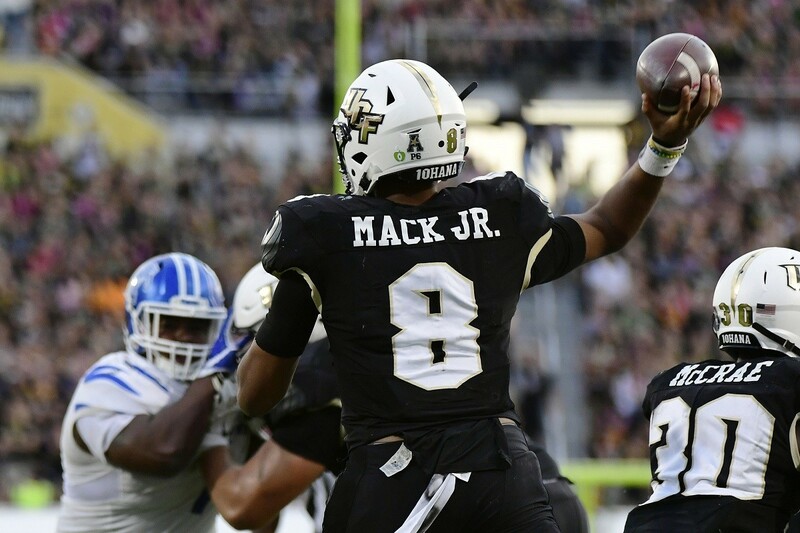 In the AAC Championship against Memphis, Mack started his first game for the Knights. The team honored fallen quarterback Milton McKenzie by bringing his jersey onto the field moments after the victory. In 2015, UCF did not win a single game. In that span, they pulled off one of the most remarkable turnarounds in college football history. The Knights are riding a 25-game winning streak and they’re hellbent on finishing out with a win in the Fiesta Bowl. On Sunday, the college football playoff committee announced the final four teams. The top four did not come to much surprise. Pretty much the entire world knew that UCF would not even garner a second thought because UCF did not play in a Big Five conference. The lack of strength of schedule also killed their chances. UCF’s opponents did not stack up against other stronger conferences. The Knights went undefeated mostly due to the 104th most difficult schedule in the nation. “Anyone who has been involved in college football should understand how difficult it is to do what these individuals have done over the last 24 months,” said head coach Heupel. With Georgia losing to Alabama in the SEC Championship, Oklahoma secured the fourth a final spot. The playoffs will be #4 Oklahoma vs. #1 Alabama and #3 Notre Dame vs. #2 Clemson. However, everyone at UCF felt they should have been one of the final four teams. The UCF Knights social media account responded with a funny WWF-inspired meme. In the upcoming bowl season, UCF will square off against the #11 LSU Tigers (9-3) in the Fiesta Bowl on New Year’s Day. UCF opened as a 10-point underdog. Public money came pouring in on UCF and the bookies continued to adjust the line over the last 12 hours. LSU is now only a 7-point favorite.